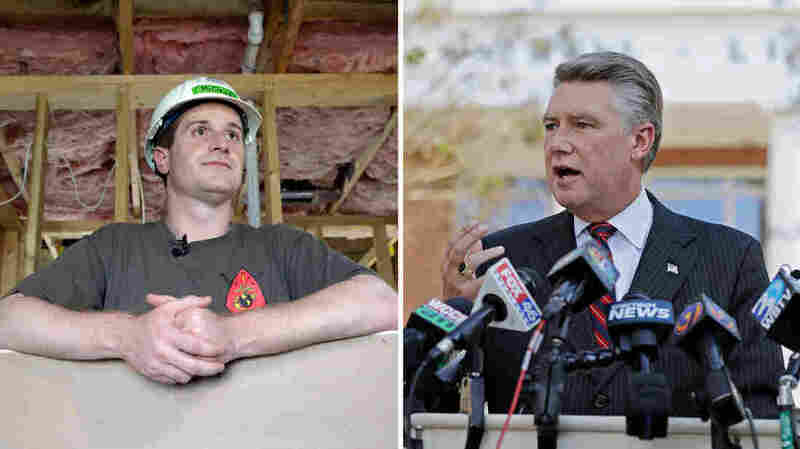 The head of North Carolina’s Republican Party says he would “not oppose” a new election in the state’s 9th Congressional District if allegations of fraud by a GOP operative prove true. “If they can say with a strong degree of certainty that the outcome of the race was changed or there is a substantial likelihood that it could have been, the law requires that there be a new election, and we would not oppose,” said Dallas Woodhouse, the executive director of the North Carolina Republican Party, in an interview with NPR. Woodhouse’s comments are in tune with a growing chorus of officials on both sides of the aisle who suggest the only remedy to addressing the ballot issues in the race between Republican Mark Harris and Democrat Dan McCready may be a fresh election. Under state law, a new election can be called if irregularities cast doubt on the outcome of a race. The unofficial tally of results had Harris winning the race in southeastern North Carolina by a little over 900 votes. But election officials have not certified the race due to concerns about irregularities and possible fraud involving mail-in ballots. An operative working on behalf of Harris’ campaign is the focus of an investigation by state election officials and law enforcement. In Washington, the likely incoming speaker of the House, Democrat Nancy Pelosi of California, hinted at the possibility that Harris’ eligibility to serve in Congress would be questioned. “The House still retains the right to decide who is seated,” she said. Woodhouse’s position about a new election on Thursday stands in contrast to his position earlier in the week, when he dismissed the idea of a new election in the 9th District.